Please join us as we gather in community with faith leaders from across the County to find inspiration, share gratitude for abundance and commit to confronting poverty. Do you sing in a choir? 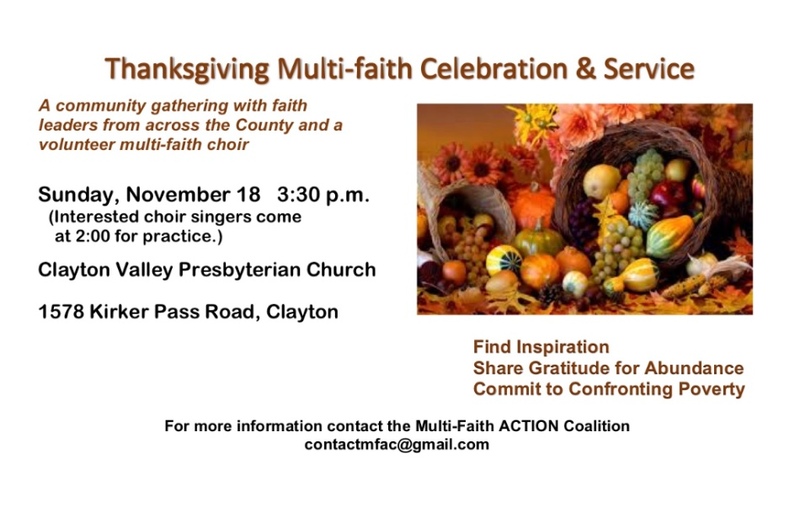 Would you like to participate in the Thanksgiving Service by singing in a multi-faith choir? Please email contactmfac@gmail.com or just show up at Clayton Valley Presbyterian Church on the same day as the service at 2:00 pm. All are welcome. Please help us spread the word.